Natural, Safe, Effective, Palatable and Made in America! 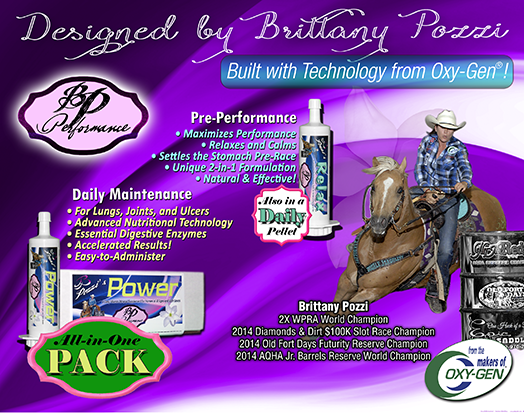 Oxy-Gen's line of Performance Plus Electrolyte Paste Products Package Deals - Best Cost per Dose! Bleeders, COPD and Allergy Support! Breeding, Growth, Sale Prep, Weight Gain, Muscle Mass, Maintenance and Travel! 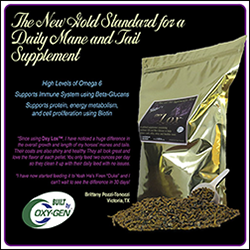 Hoof Support and Biotin Supplements! is built with technology from Oxy-Gen®! 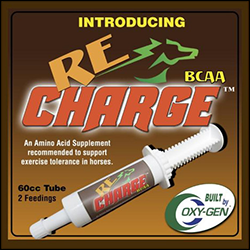 Convenient paste alternative to support Equine performance health. Our very palatable paste is perfect for picky eaters. Pozzi Power provides lung support, joint health, an anti-inflammatory and essential digestive enzymes for a healthy gut. Suggested loading dose is 20cc for 5 days - maintenance dose 10cc' per daythereafter. A loading dose may be given on race days for added protection. Available in 2 bundle sizes; 4 tubes or 10 tubes. 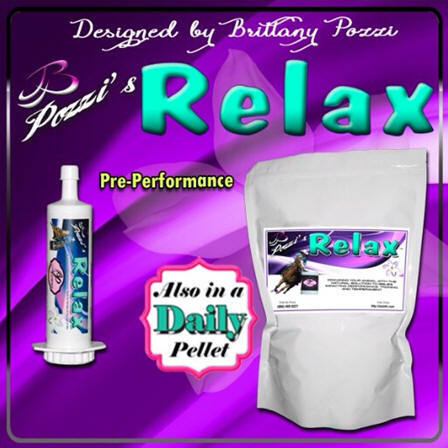 maximizes performance, relaxes, calms and settles the stomach. For best results feed 20cc's 2 hours before performance, can be dosed again in 4 - 6 hours when appropriate. Available as 5 dose 100 cc tube or 3 tube bundle. 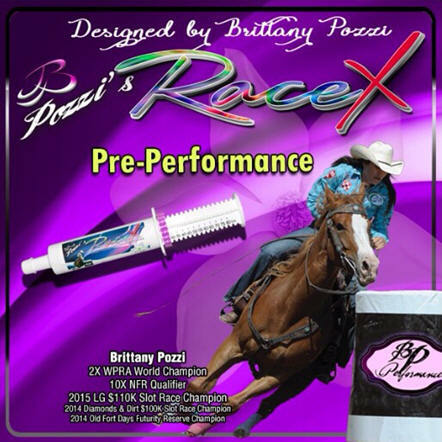 B Pozzi's Triple Threat Race Day Performance Paste delivers a powerful anti-inflammatory, provides lung support, buffers the stomach and soothes the gut with aloe vera gel. 100 cc tube contains 5 doses, feed 20cc's 2 hours before performance. Provides a very palatable daily supplement to combat the symptoms of EIPH.Suggested loading dose is 20cc for 5 days - maintenance dose 10cc' per daythereafter. A loading dose may be given on race days for added protection. Available in 2 bundle sizes; 4 tubes or 10 tubes. 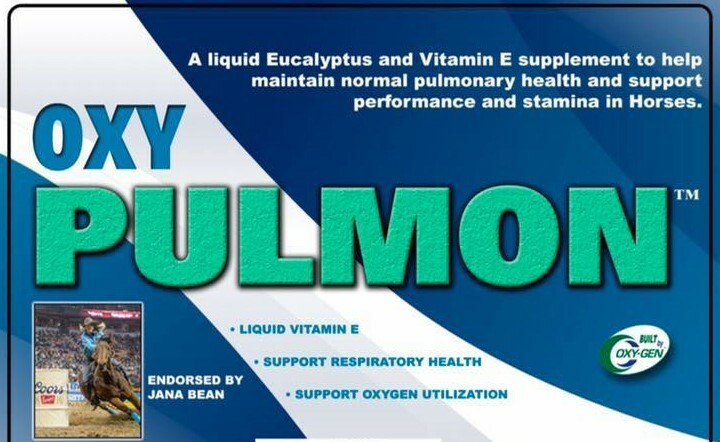 Provides Lung support for bleeders, buffers the stomach and maximizes performance. Oxy-Max is a daily top dress pellet supplement designed to address the complete supplemental needs of the equine athlete. Oxy Max is designed to prevent equine ulcers, both gastric ("fore gut") and duodenal ("hind gut"), and it works without expensive drugs. Conventional treatments for the hind gut require acid to develop a healing coating over the ulcer, while treatments for the fore gut work by stopping acid production. These treatments conflict with each other. 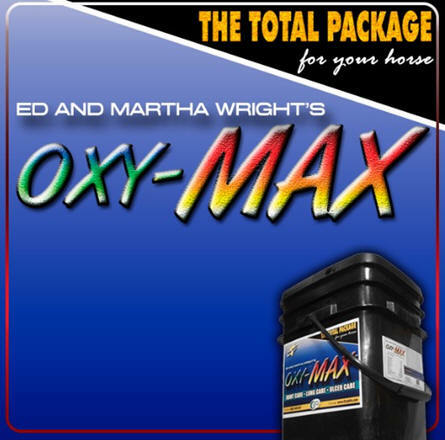 Oxy-Max was developed in conjunction with Ed and Martha Wright, and their testing has shown dramatic improvements in their horses across the board. Oxy-Max starts with our Original Oxy-Gen formula and then we utilize a select group of vitamins, minerals, yeasts, and probiotics which act in concert to create the optimum environment for proper digestion, improving your horse's health. It also has the effect of helping your horse become more focused and easier to train. When your horse is feeling good and not hindered by digestive issues, they become more attentive, have a better attitude, and are more receptive to training and learning. The joint maintenance ingredients are ph balanced and cells are triggered to increase absorption; improving your horse's comfort and ability to perform. Oxy-Max is safe, natural and drug free. Feed at the rate of 6 oz ( one full scoop) twice per day for 7 days. Then feed 3 oz (1/2 scoop) twice per day. Oxy-Max is available in 24# and 50# package sizes. I have noticed a 100% difference in my horse since starting on Oxy-Max daily and JailBreak GI prior to a competitive run. He went from being a complete dink to winning 3rd at a local rodeo Saturday night! Doesn't sound like much, but it was a major accomplishment for us. I was seriously considering selling this horse because we just weren't getting along anymore. Turns out he was just trying to tell me something. 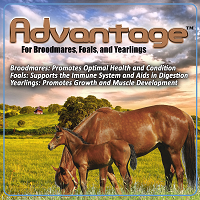 Advantage daily pelleted supplement is designed for Broodmares, Foals and Yearlings...but is also very beneficial from conception to companion! 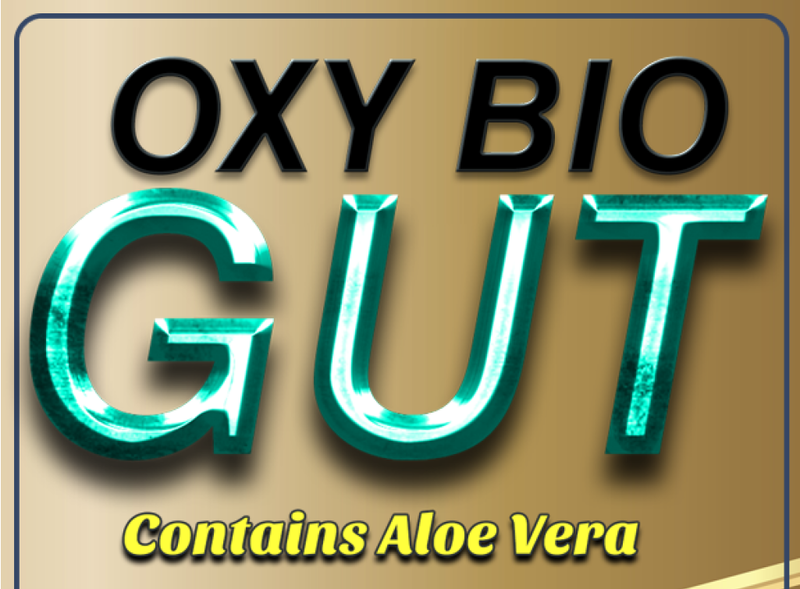 This supplement targets Immune health "contains our Immunize", Lung health and Muscle development "contains our Original Oxy-Gen formula" and improves digestion "contains our Gut Integrity". Feed 2 scoops per day for 7 days and then 1 scoop per day for maintenance. A balanced and properly functioning digestive system is essential for your horse’s health—and even complete feeds often lack major nutritional needs. While your animal’s fermentation focused digestive system enables him to process and utilize forages, it’s essential that the microbial population of the hindgut be healthy, with appropriate numbers of helpful bacteria, protozoa and fungi. 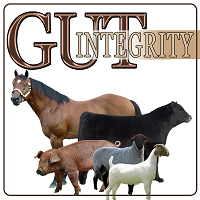 That’s where Gut Integrity™ for Livestock makes the difference. Gut Integrity™ for Livestock provides an effective blend of probiotics, prebiotics, digestive enzymes, and microbials proven to assist in optimizing your animal’s digestion while also assisting in efficiently metabolizing the nutrients provided by your complete feed, forage and supplements. Feeding Instructions: Horses 2 ounces per day for 7 days and then reduce to 1 ounce. 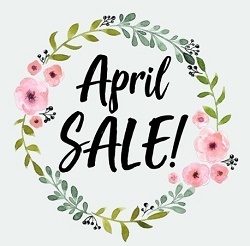 Active Dried Yeast, Magnesium Silicate, Dried Aspergillus niger Fermentation Product, Bacillus amyloliquefaciens Fermentation Product, Aspergillus oryzae Fermentation Product, Soybean Oil, Calcium Carbonate, Dried Propionibacterium freudenreichii Fermentation Product, Dried Lactobacillus acidophilus Fermentation Product, Dried Enterococcus Lactis Fermentation Product, Trichoderma longibrachiatum Fermentation Extract, Dried Lactobacillus casei Fermentation Product, Dried Lactobacillus lactis Fermentation Product, Dried Pediococcus cerevisiae Fermentation Product, Dried Bacillus licheniformis Fermentation Product, Sodium Silico Aluminate. 1/2 gallon provides 30 2-oz doses recommended daily dose is 2oz per head per day. Our improved formula provides the additional herbal benefits of Dong Quai and Chasteberry to Performance Mare Product™. The only product designed to support both COMPETITIVE PERFORMANCE and ENDOCRINE SYSTEMS using Science, not Magic. Feed 2 ozs daily. Best when split between daily feedings. "My mare is 7 years old, limited hauling this year and a consistent 2D horse. 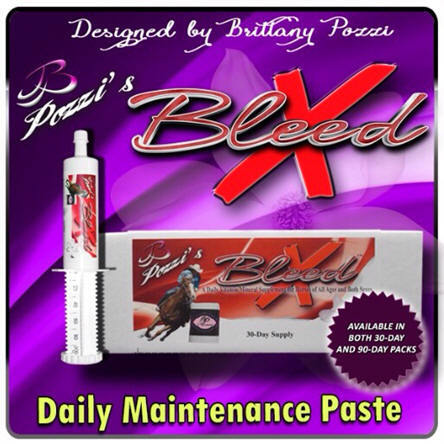 I put my mare on Oxy Gen's Bleeder Stop and 2X back in early May after she had bled for the second time. Come to find out she also had a respiratory infection which had given her a bad cough. I had been told by a vet that her career was over unless I wanted to do Lasix but I wanted to avoid that at all cost.Late June I decided to run her for the first time since her bleed at a small local rodeo and no bleeding or coughing!!!! Since then we have made more runs and each run she is getting better even running in the bottom of the 1D in our hot and humid weather! She also walks in the arena like a dream now. Thank you Oxy-Gen for giving me my horse back!" 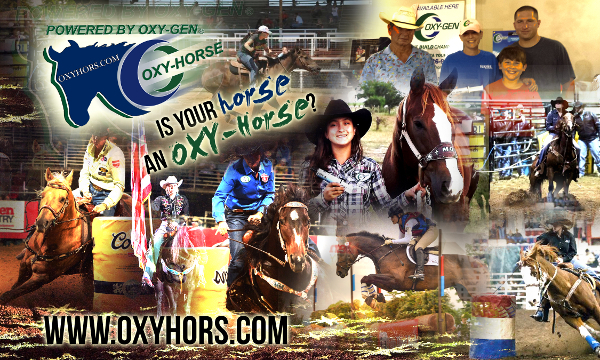 Oxy-Horse™ created the Horse Power™ formula to improve lung health and increase stamina in performance horses. When fed daily, it is designed to prevent EIPH. It will also ease the symptoms of COPD and other respiratory conditions associated with allergies exacerbated by environmental conditions. We address lung health, muscle health and immune health in a single daily product. When feeding Horse Power™ you can expect your performance horse to have better stamina and faster recovery. Horse Power™ is natural, safe and will not test. The product is simple to feed; no mixing or guessing is required. It is palatable and contains no dangerous drugs. Horse Power™ is suitable for all performance horses. Horse Power™ is a daily top dress, alfalfa and grain based pellet supplement containing l-lysine and l-arginine, brewers dried yeast and wheat germ meal, menadione and niacinimide, vitamin E and natural flavoring. 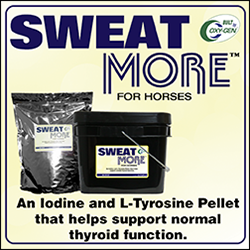 A daily split fed dose, 2 oz’s top dressed twice per day, provides nutrition essential to more effectively deliver available oxygen to your horse’s muscles without increasing blood pressure, supplemental Vitamin K supports improved lung health. "My horse was a bleeder, so we put him on pharmaceuticals. The more I ran him the slower and lazier he got. At first we were skeptical, but we decided to give Bleeder Stop and Oxy-Gen a try. Within 2 weeks we saw a major improvement in his times by about half a second faster and his bleeding stopped. In August at the OKC Summer Shootout I won 1st in the 4D and 5th in the Shootout finals Round. In October after putting my horse on the Bleeder Stop and Oxy-Gen, I won 2nd in the 1D in the 1st go of the youth at the ABRA National Finals in Tulsa. I have also won the youth 1D saddle in my NBHA District. Understanding how our Original Oxy-Gen formula works is the key to understanding the success of all of our formulas. Equine Oxy-Gen is a natural product containing Octacosanol which is derived from wheat germ extract. This natural ingredient packs a HUGE punch! Studies show that Octacosanol has been clinically proven to increase oxygen utilization during exercise. 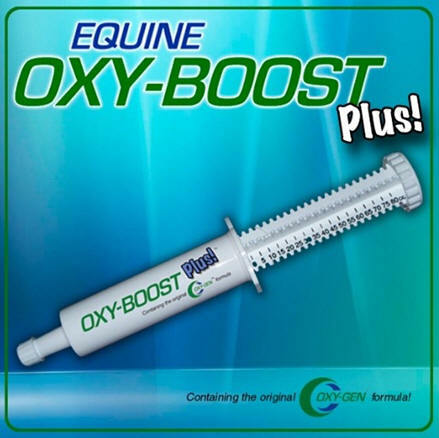 Improving the performance of your horse’s heart and blood vessel system is the main function of Equine Oxy-Gen. It promotes the efficient conversion of food and storage fuels into biological energy, resulting in increased muscle strength, endurance, vigor, quicker reaction and faster recovery times. Our Original Oxy-Gen™ daily pellet supplement is designed to maximize genetic potential and allow the respiratory and cardiovascular systems to work more efficiently. When the heart and lungs work better you get a boosted immune system, more topline and hindquarter muscle, better stamina and faster recovery. Equine Oxy-Gen is also available fortified with our exclusive Pro-B probiotic formula to promote better feed utilization. Each feeding contains not less than 50,000,000 lactobacillus bacteria! Feed 3 ozs per day. CircQlate™ improves the distribution of nutrients by actively improving blood flow, increasing circulation and speeding nutrients to the cells of the body. 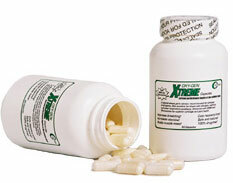 CircQlate is a special selection of proteins and amino acids that is combined with the original Oxy-Gen formula . CircQlate™is a powerful, highly palatable pellet, and like all our products; it is safe, natural, and drug-free. Feeding Instructions 3 ounces per day top dressed on feed. Available in both an easy to dispense paste and a daily pellet top dress. Immunize™ is a supplement that speeds healing, boosts immune system, fights bacterial and viral infections and is 100% natural. Immunize™ is an antioxidant biotechnology of beta glucans that boosts immune, cardiovascular and digestive systems. Immunize Paste is a fast acting immune support electrolyte and probiotic paste for use when a quicker, short term response is desired. How many times have you started fitting, training and hauling your horse and they come down with the "crud" regardless of your traditional immunization program? 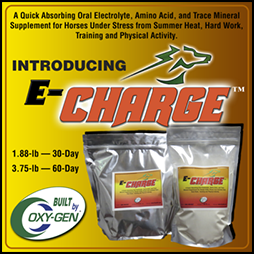 This revolutionary technology supports your horses ability to stay healthier naturally! It is great insurance for our Equine Athlete Partners and will not interfere with your daily feeding regimen. Count on Oxy-Gen® to stay on the cutting edge of natural supplements. I not only sell this product line but depend on it for all of our horses! Sweat More for Horses combats anhidrosis for "non sweaters"
Mega Oil™ is a high quality cold processed soybean and flax oil blend with liquid Oxy-Gen® suspended. Horses who are fed a high fat diet have better energy and stamina and maintain their weight on smaller daily grain rations. Mega Oil™ is excellent for sale prep. It really gives them a glossy coat, better hoof growth and excellent muscle development. If you are also looking for a quality Omega 3 and 6 supplement, this is it. Feed 6 to 8 ozs per head per day. Tie Breaker probiotic electrolyte performance day paste comes in an 80 cc tube and provides 4 - 20cc doses. Turmeric promotes healthy muscle function while the JailBreak GI base soothes the digestive system and provides a performance dose of the Original Oxy-Gen Formula. Original Formula Race Day paste that will help your horse fire. 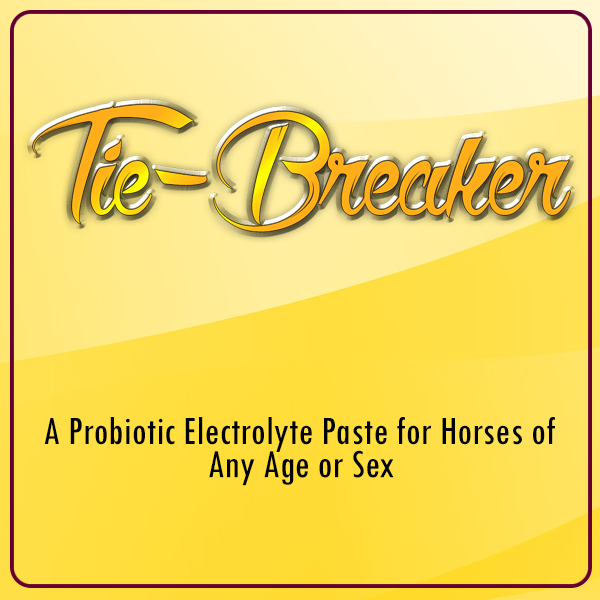 Contains probiotics, electrolytes and also used to keep horses hydrated when hauling long distances. You will see a difference the first time you use it. "My horse came down with a breathing problem in the last eight months. I gave him Oxy-Boost Plus 2 hours before I ran. He didn't seem to be as stressed during the run, and he cooled down really fast." Pre-race paste for the nervous horse, horses with ulcers, and gate issues. Contains probiotics, electrolytes and an acid neutralizer. You will see a difference the first time you use it. "First, I just want to make it absolutely clear that I am not sponsored by this company and what I am going to say is out of gratitude for making a product that really works! My Calyx horse was a bundle of nerves at races and started refusing to go thru the gate. My sister actually would have to get behind him with a jockey whip to get him in the arena. That's how bad he had gotten. Then he just couldn't focus during a run and it seemed that he was hurting. Not lame, but I knew he had to have ulcers and competing just made things worse. I started him on an expensive veterinary ulcer treatment. Then I saw an ad about JailBreak from Oxygen. I started giving him JailBreak on competition day and from the very first time I used it, there was an improvement. Our improved formula provides the additional herbal benefits of Licorice and Slippery Elm! Now a perfect match to our MagMax daily formula. 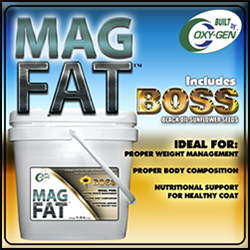 Mag44 uses our very popular JailBreak GI formula with added aloe vera gel and additional magnesium. Use before performance to soothe the digestive tract, improve muscle strength, increase lung capacity and reinforce neurological health. Feed 20 cc's 2 hours prior to strenuous activity or whenever conditions are stressful. Intensive nutritional support containing CirQulate to stimulate blood flow and other ingredients to stimulate hoof growth, repair and remodeling. For best results feed 3 oz per day. Recommended by Farriers as a product that "really performs". Improves hoof wall quality and hoof growth, there's a foot to trim and a wall to nail too! Rush - Electrolyte Performance Paste formulated for Lung Support and temporarily soothes airways, great for horses with a warm up cough. The original Oxy-Gen Capsules formula, enhanced with MSM and Glucosamine for joint health! Now that your horse is ready to run and win, shouldn't you be too? Don't hold 'em back or be a passenger... ride to win! I have been taking that "people formula" I don't know what's in it... but usually when I ride my back kills me the next day... it doesn't hurt!!! I blame my back problems on having 2 children and the epidurals.. but I tell you, taking this when I loped my horse, I didn’t feel the tugging and soreness that I do, and that is usually an immediate hurt. Kerry has been taking it also his elbows doesn’t hurt like they used to... I would like to order another bottle of that. The formula the horses are on.. I don't really know yet, because its only been 2 weeks, but Alex's aged roping horse is feeling VERY good!!!"